 Printed by: The Carmarthen Journal and South Wales Weekly Advertiser – 25th August 1810. CARDIGANSHIRE. LORDSHIP OR MANOR OF HANNINIOCK. 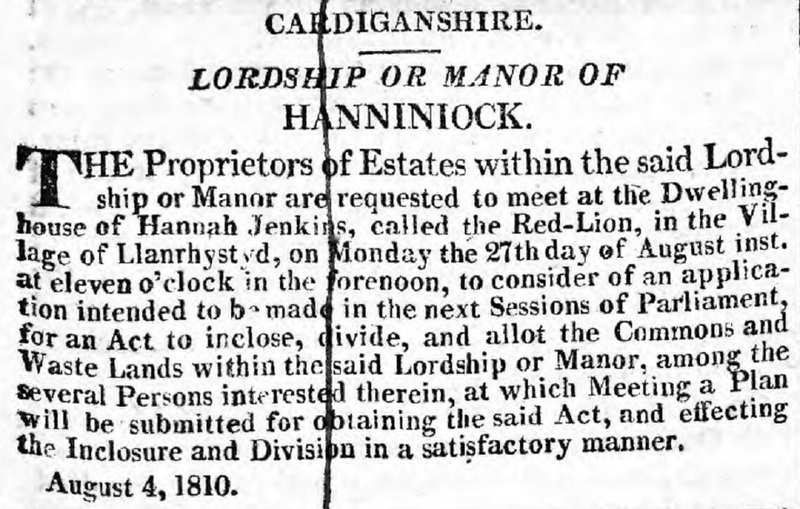 THE Proprietors of Estates within the said Lordship or Manor are requested to meet at the Dwelling house of Hannah Jenkins, called the Red-Lion, in the Village of Llanrhystyd, on Monday the 27th day of August inst. at eleven o’clock in the forenoon, to consider of an application intended to be made in the next Sessions of Parliament, for an Act to inclose, divide, and allot the Commons and Waste Lands within the said Lordship or Manor, among the several Persons interested therein, at which Meeting a Plan will be submitted for obtaining the said Act, and effecting the Inclosure and Division in a satisfactory manner.